If you need ideas for Miami photography locations, below are some options. I am open to any ideas you may have – please contact me to let me know what you have in mind! South Pointe Park is a great spot in South Beach. It has a nice park with with tropical greenery that is adjacent to a beautiful, expansive beach. South Pointe Park is a very picturesque spot that is quintessential Miami. 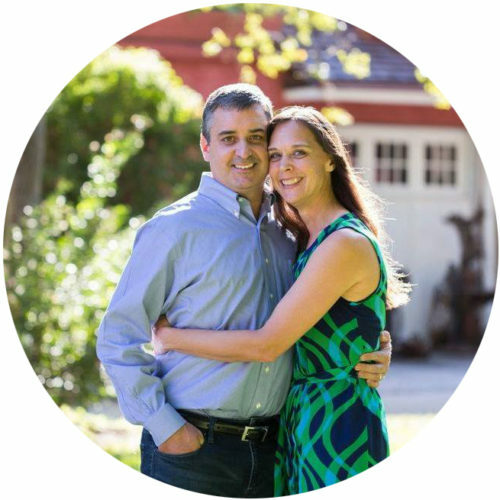 Check out this engagement session before sunset and this family session at sunrise. You can also see all the sessions on the blog that were taken there. A small, yet beautiful, botanical gardens in the heart of South Beach. There are different sections such as a Japanese garden, native garden, edible garden and several ponds with turtles and koi. The gardens is a great spot for family or couple sessions. 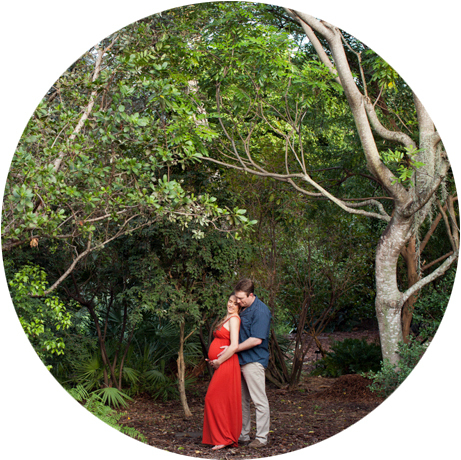 Check out some photo sessions from Miami Beach Botanical Gardens on the blog. There is a $50 fee to photograph here. In front of the Bass Museum is the small yet pretty Collins Park. There are some huge Baobab trees, pathways lined with palm trees and the front of the Bass Museum provides a nice urban touch as well. Collins Park is across the street from the beach, so we can start off photographing at the park and then go to the beach afterwards, like we did at this Collins Park couples session. Pine Tree Park is a small park in Miami Beach with a lot of trees providing shade. Photo sessions here can be scheduled in the late morning or early afternoon because of the ample shade so we don’t have to deal with the harsh, mid-day sun. It is also a popular spot for dogs – just something to be aware of 🙂 Here is a family newborn session that was taken at Pine Tree Park. A unique spot in Coral Gables located at 57th Avenue & 8th Street, the Prado Entrance has two beautiful walkways with blooming colorful flowers and elegant archways. 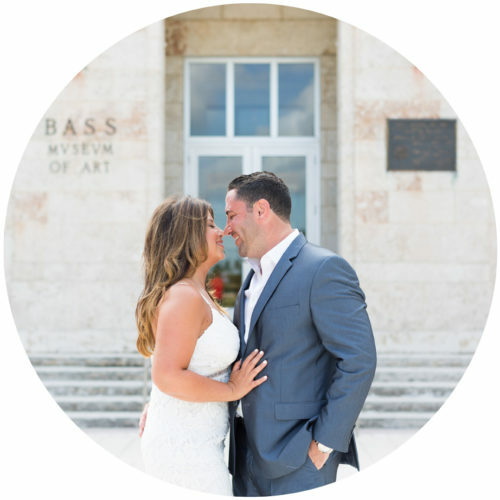 See a photo session from the Coral Gables Prado Entrance on the blog and a short video on YouTube. Here are all the photo sessions that were taken at the Prado Entrance. One of my favorite spots in Miami, Matheson is a huge park with several different sections. There is a trail for walkers or cyclists where you are surrounded by native mangroves, another huge section with beautiful, large oak trees lined with moss, in addition to a charming little beach by the bay – perfect for families and couples. If you want Miami photographs which show a unique side of Miami, this would be it. Matheson Hammock is great in late fall and winter in Miami. See a family session at Matheson on the blog and another here. 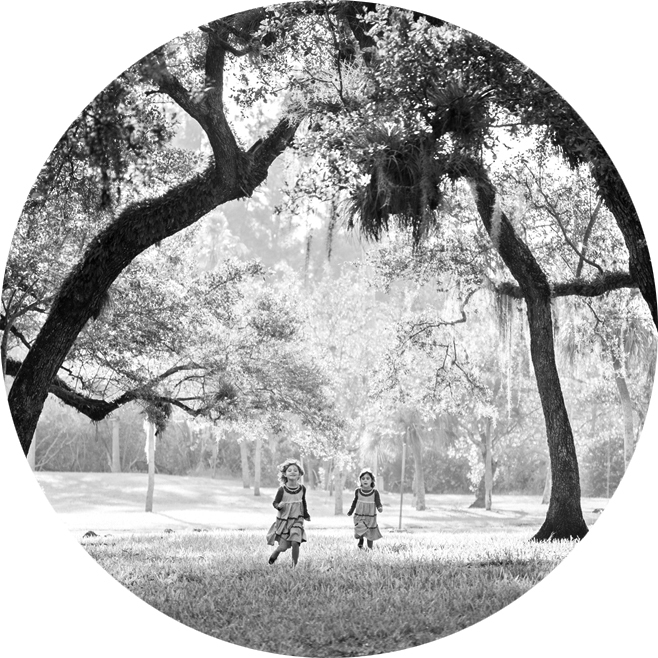 Check out all of the photo sessions that were taken at Matheson Hammock. Vizcaya was created as James Deering’s subtropical winter home in the 1910s and today it is a National Historic Landmark and accredited museum. While photography is not permited in the museum itself, the enchanting gardens make a perfect backdrop for Miami photos which show a unique historic aspect of the city. A photography permit is required. 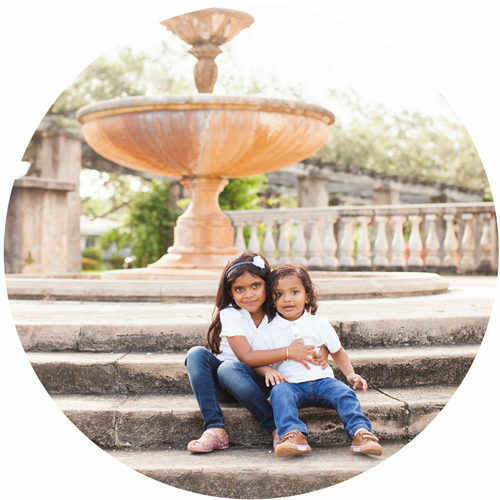 On the blog you can see all the photo sessions at Vizcaya. 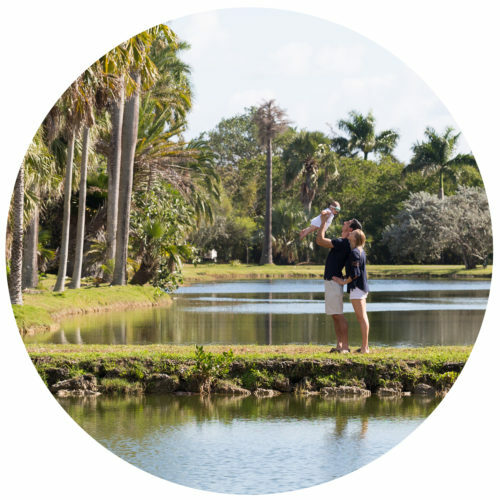 Fairchild is a beautiful oasis in the heart of Coral Gables. It’s large gardens feature an array of tropical plants, trees, flowers and a butterfly conservatory. Any time of day can work for Fairchild due to an ample amount of shade. Fairchild is truly a nature lover’s paradise. You can see Fairchild’s hours and cost of admission on their website. The Deering Estate is a historical preserve by Biscayne Bay, originally home to Charles Deering until 1927. There are many areas to photograph here: outside the historic structures, amongst the mango orchard and surrounding green habitat, as well as by the bay. Any time of day can work for Deering, the only area that gets very sunny is by the water, otherwise there is plenty of shade. There is a fee to obtain a photography permit. It’s one of my favorite spots to photograph at! 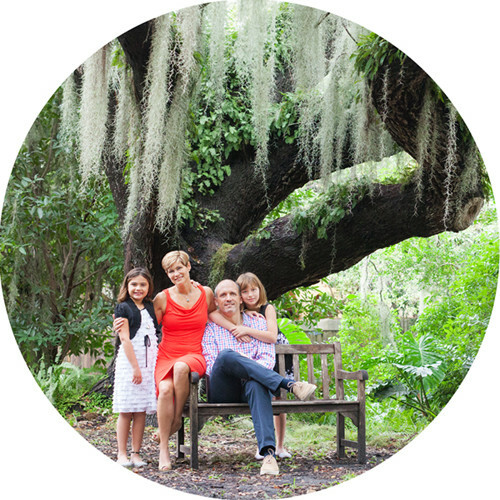 Check out this family and senior photo session at the Deering Estate. The Barnacle was built in 1891 on the shore of Biscayne Bay and is the oldest house in its original location in Miami-Dade County. The Barnacle is a wonderful retreat from the hustle and bustle of Miami. A walk into the park passes through a tropical hardwood hammock and leads you into a view of the historic structure and further down a view of the bay. Here is a photo session that was taken at The Barnacle. Enchanted Forest has trails through huge oak hammocks and makes for a great scenic backdrop for photos. Aside from the paved walking trails, there is also a pony ride concession which is great for kids. Check out a photo session at Enchanted Forest on my blog so you can get an idea of what it looks like. Crandon Park is a beautiful beach spot in Key Biscayne with lots of colorful palm trees on the beach itself. 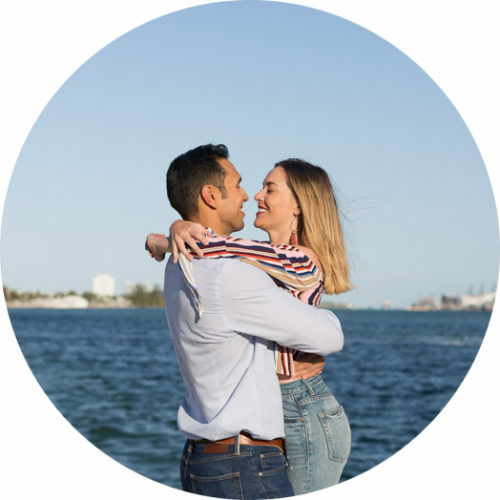 Crandon Park is a tranquil tropical paradise that would be great for a family or engagement session. It is also home to Miami’s Old Zoo, no longer functioning but still a thriving park with friendly geese, peacocks and skittish iguanas that will flea at the sight of approaching humans. 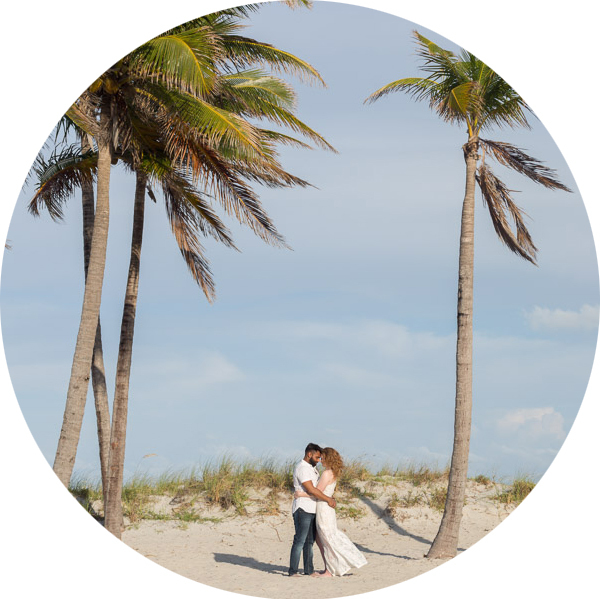 View all of the photo sessions at Crandon park in Key Biscayne. Bill Baggs Cape Florida State Park is the home of a historic lighthouse built in 1825 and reconstructed in 1846, and is the oldest standing structure in Miami-Dade County. Bill Baggs also has one of the the most popular beaches in Florida and several beautiful hiking trails. 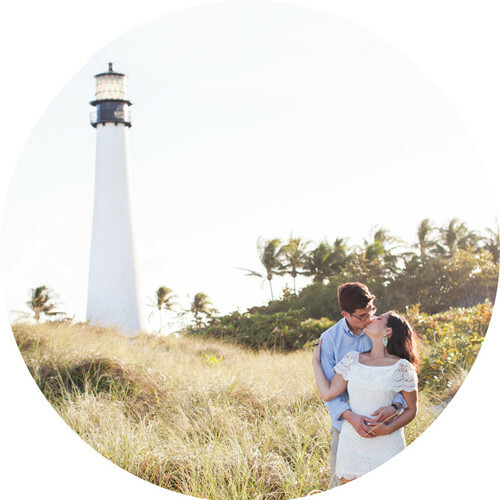 View an engagement session in Bill Baggs, Key Biscayne on the blog. The Museum Park (now called the Maurice A. Ferré Park) is located next to the Perez Art Museum in downtown Miami and has several paved trails, numerous palm trees and beautiful greenery. 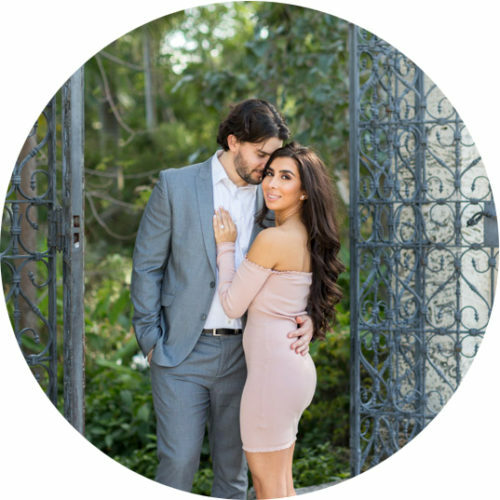 Check out this surprise proposal session at Museum Park before sunset. You can also take a look at this family maternity session that took place in the morning near the museum. Home to one of the largest open-air street installations in the world, Wynwood boasts colorful graffiti-covered walls and numerous art galleries. 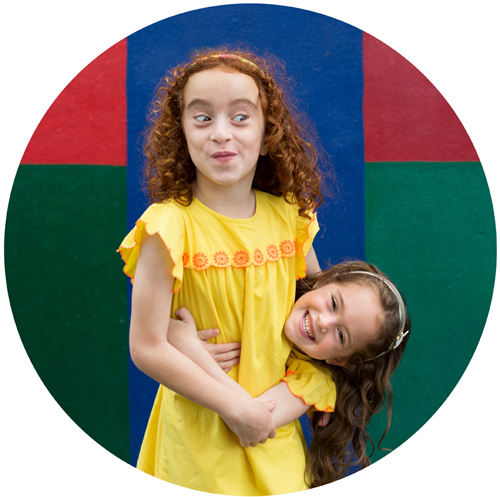 Check out all of the Wynwood photo sessions on the blog. 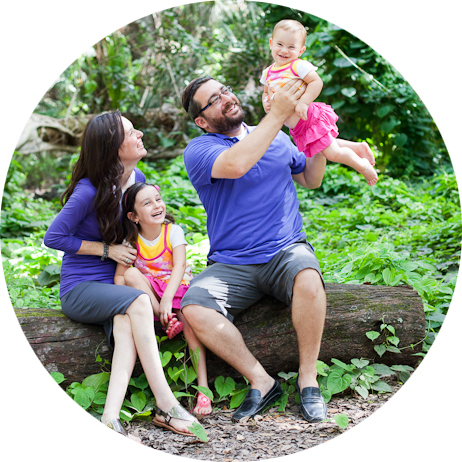 In-home sessions are a great option for natural photos of small families in a setting that children are very comfortable in. They’re particularly great for newborns and babies where they are out of the sun and in a place where you can comfortably feed or change them. My style is to capture natural and genuine photos of you interacting with the baby – cuddles and snuggles, reading to the baby, etc. Rooms with large windows allowing in plenty of natural light are necessary for photo sessions at home. See my blog post of an in-home photo session that was taken when the baby was just a few weeks old. Lincoln Road Mall in the early morning – there’s nice greenery between Alton Road and Lenox Avenue and further down we can take more urban photos.